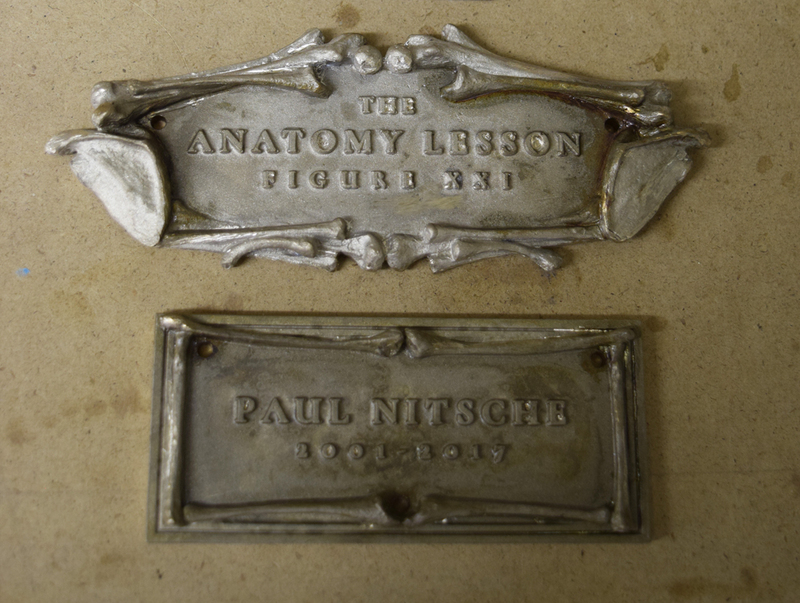 Comparison of the new title plate (top) and the original. 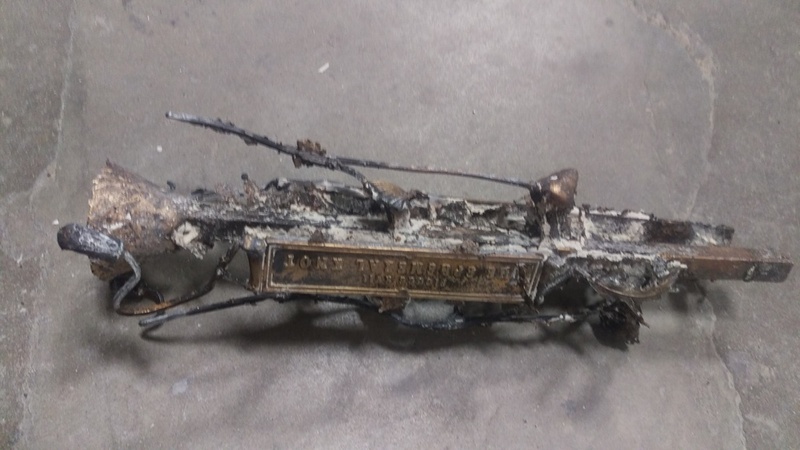 There was a sinking moment upon finishing my newest sculpture when I realized that the title and name plates just weren't working for the piece. 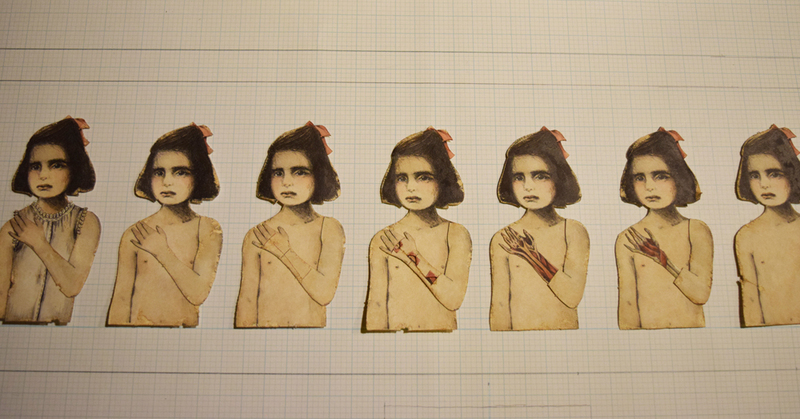 The central image had gone through many changes, enough where the original title, "All Horizons Lost, Flesh Forever Found", didn't reflect the work any longer. The alliteration in the title always bothered me too. But my main issue with the plates were the rough clunky appearance of the castings. 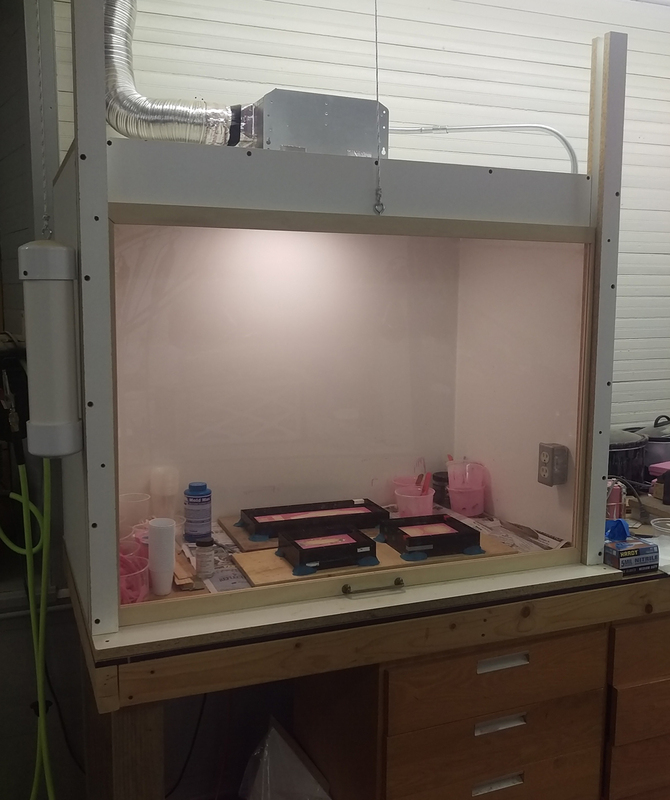 I had so much trouble this year with my investment molds cracking in the kiln and the bronze flashing out. I had tried my best to salvage the plates, but in the end the quality just wasn't there. Maybe over a dozen hours of work lost. After some pacing of the studio, I decided to take the time and effort to remake them. 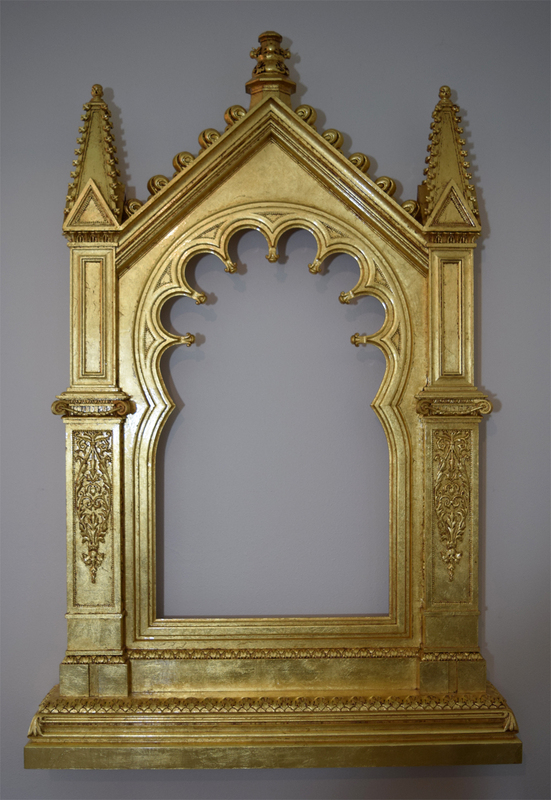 The piece was given the new title "Beneath the Remnant Veil" and new waxes were designed, again using the hearts on either side of the title plate. The University of Wisconsin Foundry doesn't do ceramic investment, a far superior technique that would solve all of my casting issues. I've been thinking about working with someone to ceramic invest my waxes for a while now, and thought this a small enough of a project to be a test of sorts. I had the great pleasure of working with Jeff Adams and his InBronze Foundry in Illinois and will be working with him for all of my investment castings in the future. 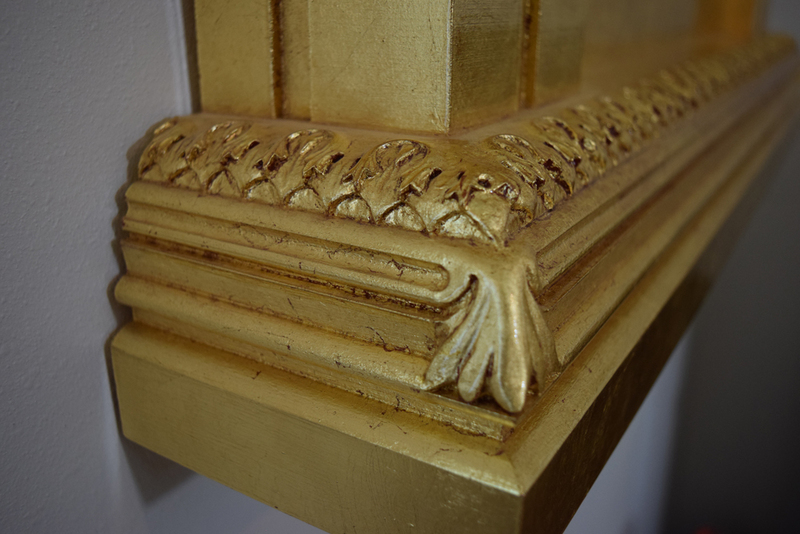 The bronzes came out beautifully, superior detail and surfaces than I was able to do. 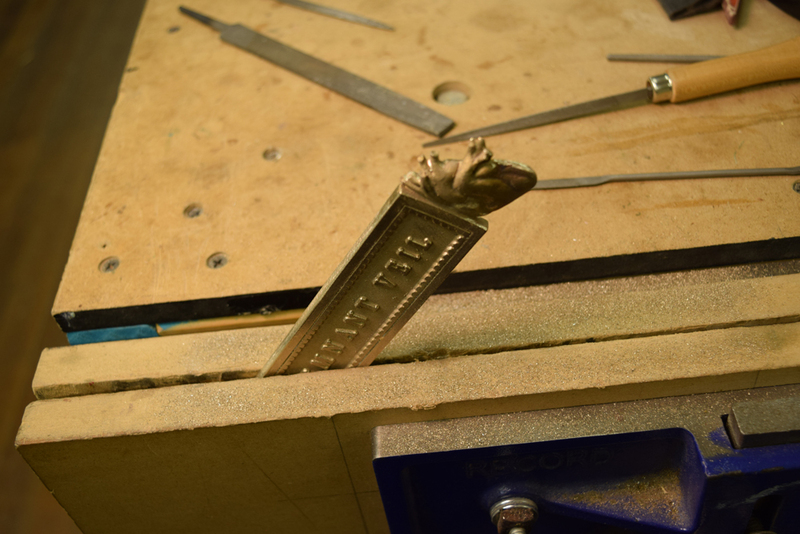 Finishing the edges of the new title plate. The finished remade bronze plates before applying patina. 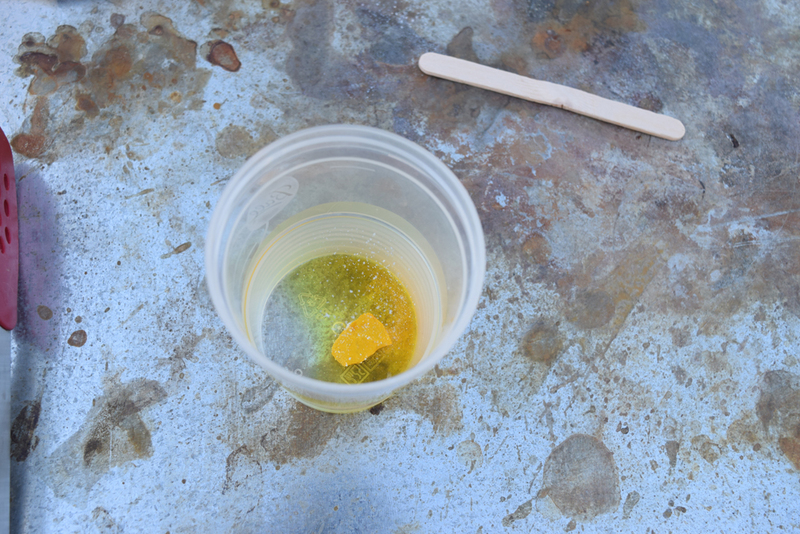 Dissolving Liver of Sulfer for the hot patina. The Liver of Sulfur patina applied after heating the bronze with a torch. Comparison of the title plates. The redesigned wax (top), the new title plate (middle), and the original title plate (bottom). Comparison of the title plates. The original wax (top), the new title plate (middle), and the original title plate (bottom). Bronze Plates For "All Horizons Lost..."
The title plate for the upcoming sculpture, All Horizons Lost, Flesh Forever Found, is 13.5" long x 1.25" wide x .25" inches in it's bronze state. The length and relative thinness of the plate made it difficult to realize in metal using the techniques available to me at the foundry. My first attempt left the plate warped and twisted beyond saving. For the second try, I waxed an 1/8" piece of basswood to the back of the wax pattern plate, making it thicker and giving the pattern rigidity. I knew I would have to grind it all off later, but it made a huge difference in how the second title plate came out. As always, my apologies for the cat hair. 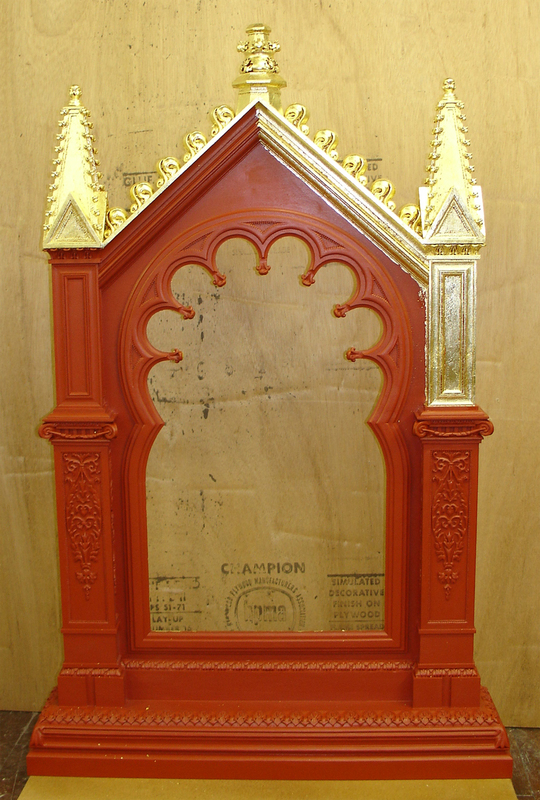 The second attempt at the title plate, after having removed the investment mold. The casting is still a little rough, but not bowed and twisted. The extra thick title plate, roughed out and sandblasted. Using a cutting wheel to carefully split the plate down to its proper thickness. The plate successfully split with the extra material removed. 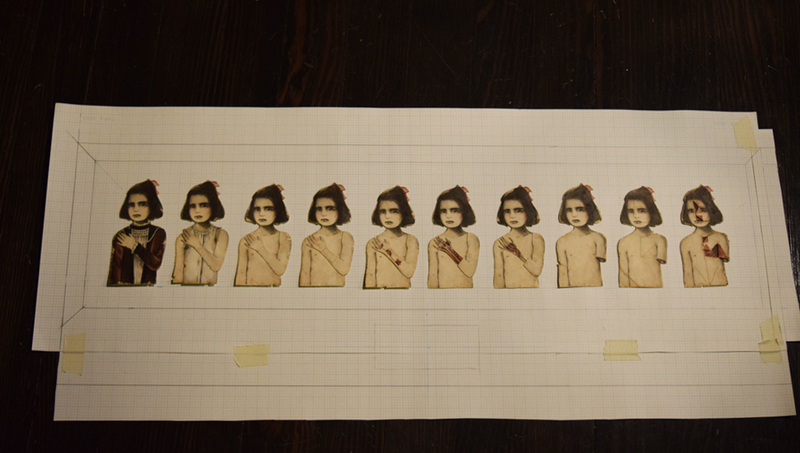 Back at the studio, filing down all the flat surfaces. The back name and date plate getting touched up with the TIG welder. The plates after the bronze has been heated in a kiln up to 1100 degrees, which gives it a black patina. This is then rubbed off in areas to get back to bronze. The finished title and name plates after rubbing the heat patina out and clear coat. Detail of the posterior heart on the title plate. 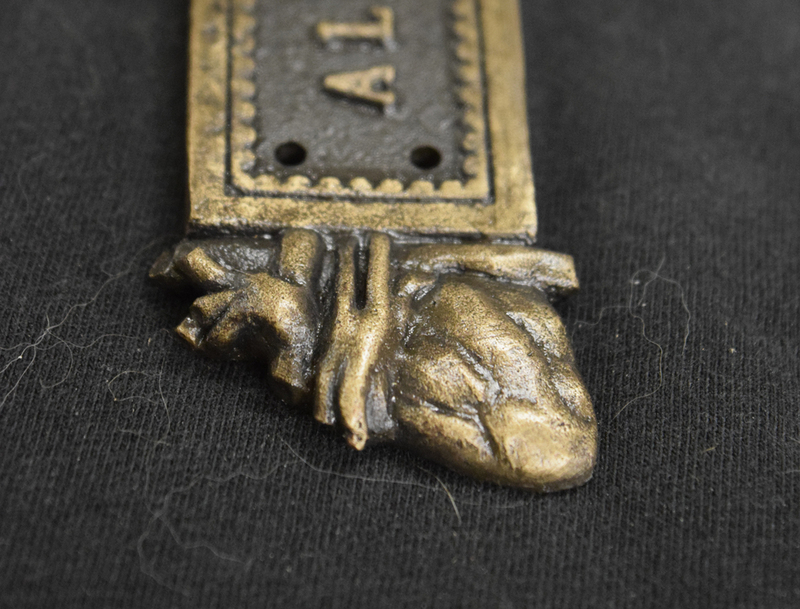 Detail of the anterior heart on the title plate. A sprue tree recently completed. 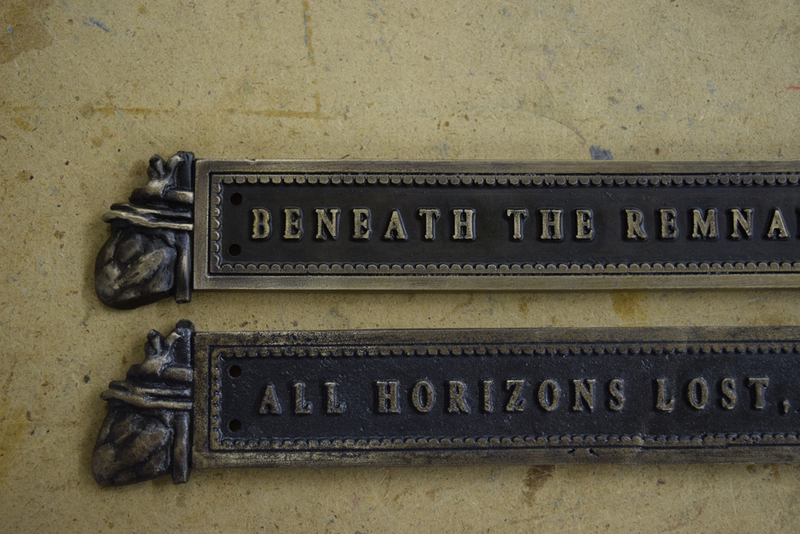 Title and back plates for an upcoming large bronze sculptural piece entitled All Horizons Lost, Flesh Forever Found. Also the remake of The Ephemeral Knot title plate, and some other wax objects for future pieces. Three sculpture title and name plates with a wax vertebrae and opossum manible. 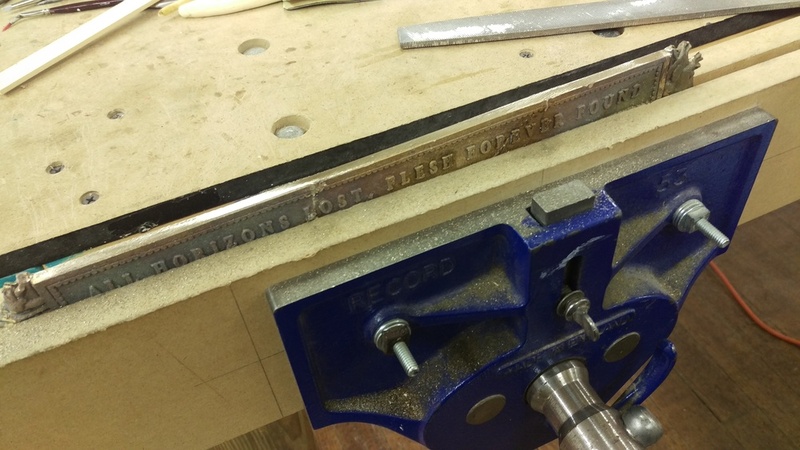 A detail of the All Horizons Lost... title plate. Anterior and posterior heart views are sculpted on either side. This is the longest bronze plate I will have made, at 1.5" x 14". The All Horizons Lost... plate on the sprue tree. 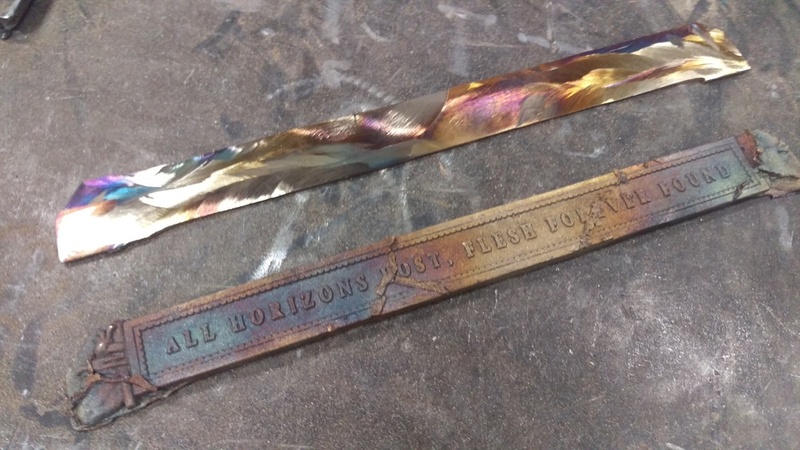 The Ephemeral Knot remake wax and the All Horizons Lost... name plate. Also a pine cone experiment. The pine cone should burn out into ash within the kiln. A few small pieces for future sculptures. A leaf experiment, a vertebrae, and an opossum mandible. 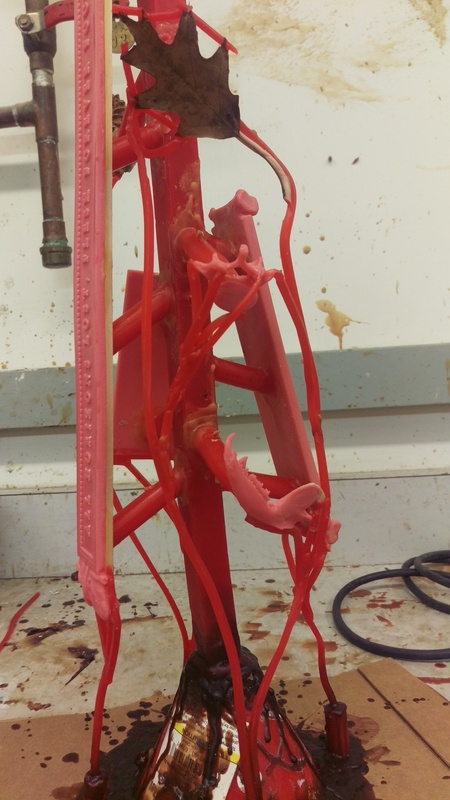 The wax tree now in it's investment mold, waiting to go in the kiln at the University of Wisconsin foundry. The rough waxes of the title and name/date plates for The Ephemeral Knot. On either side of the plates are castings of human finger bones, specifically that of a fourth proximal phalange. Note all the air bubbles in the lettering that need touching up. The corrected wax title plate and a few other items on the sprue tree. 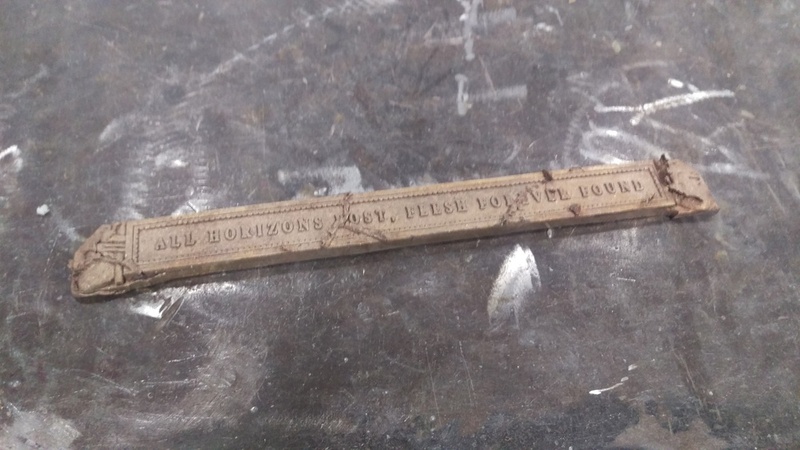 The corrected wax name and date plate on the sprue tree. Brushing a skin coat of investment on the waxes. 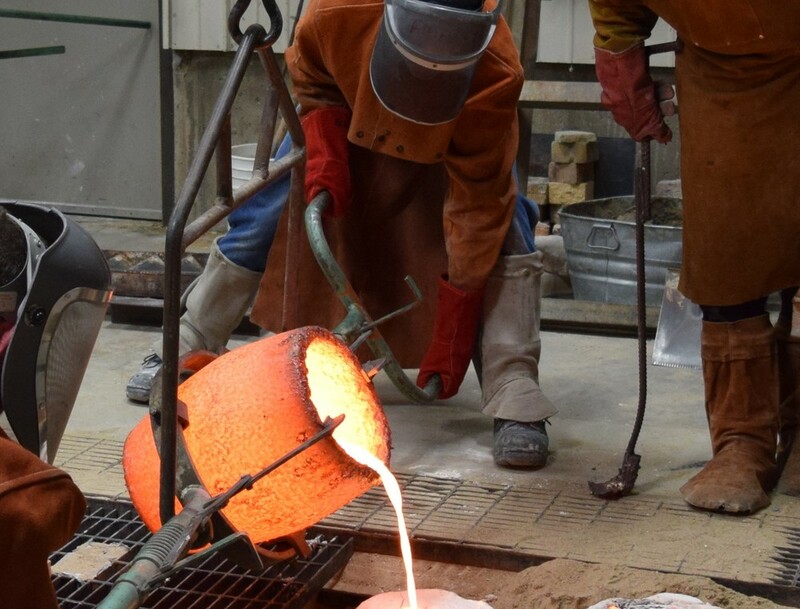 At the foundry, pouring the bronze into the plates' investment mold. 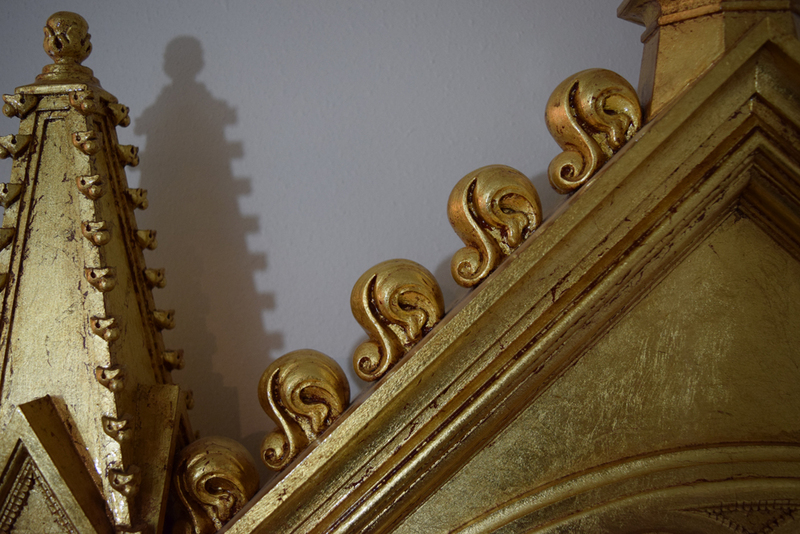 The beauty of molten bronze. After several hours, the mold is broken open and the removal and cleaning begins. The rough bronzes. Unfortunately, the title plate has quite a bit of flashing. Flashing is a common casting defect caused when molten metal finds tiny cracks in the investment mold. Minor flashing can be fixed but the title plate will have to be redone. The name plate flashing is slight, and should clean up well. Opening the Investment Mold for "The Ephemeral Knot". I was a bit worried about how the arm would turn out because of how much bronze was used. 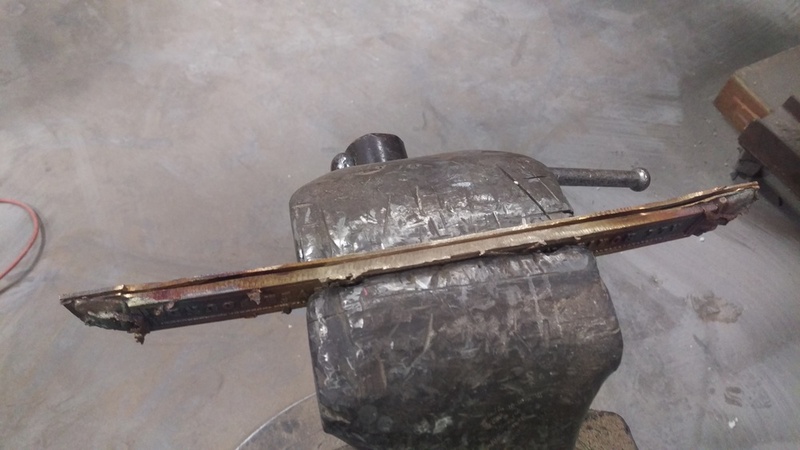 If a metal sculpture is too thick, the cooling process can cause cracks or collapsing. Prior to investment, I thinned out what wax I could from the underside, but much of the sculpture had to be thick for future tapping and bolt placements. 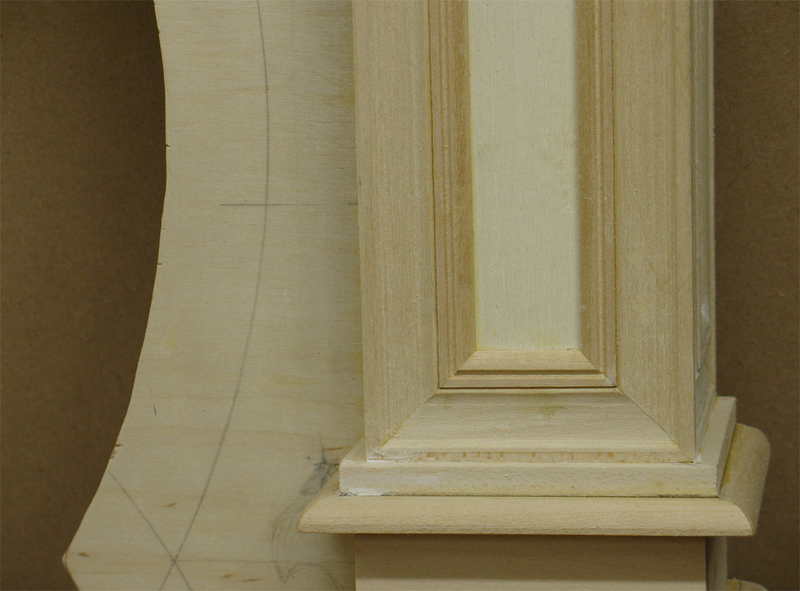 But everything formed well, and I'm really pleased with the level of detail. 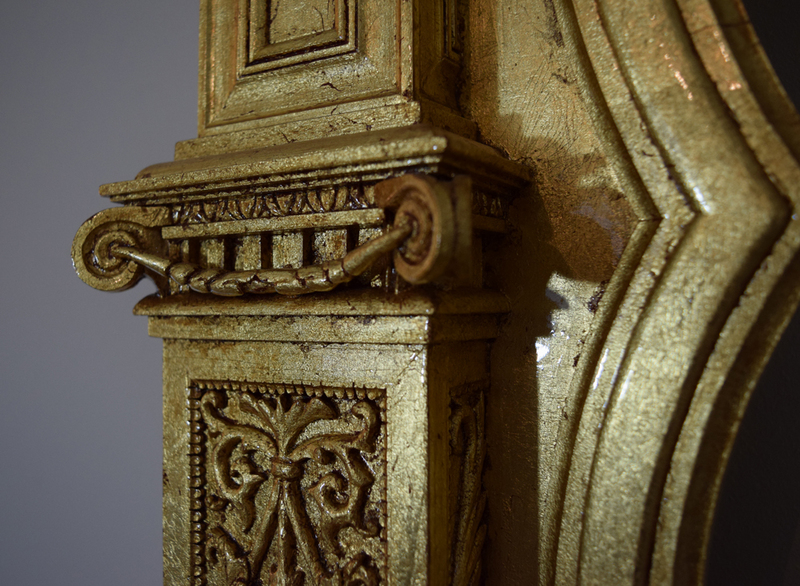 Detail of the rough bronze. Starting the removal of the investment. The majority of the investment removed. There are some bones and pine cones for future pieces. The arm removed from the sprue tree. There is still quite a bit of finishing work to do.